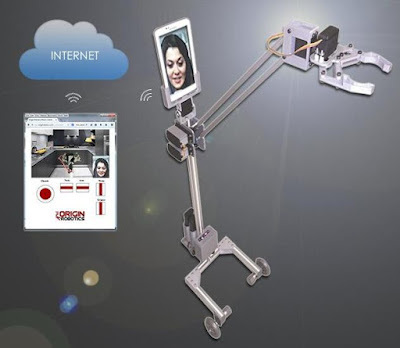 Collection of 'Smart Telepresence Robots for You' from all over the world that lets you represent yourself remotely and changes the way we communicate. 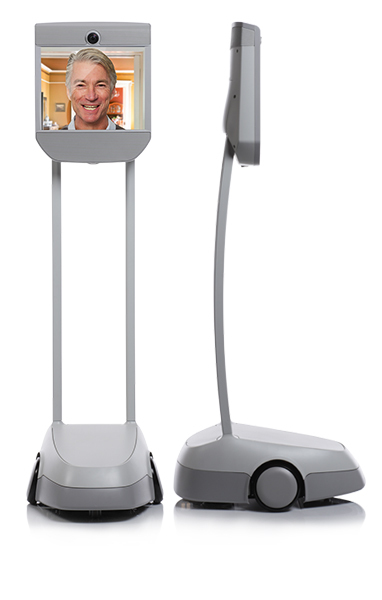 Double Robotics Telepresence Robot: The Double Robotics Telepresence Robot for iPad makes telecommuting easy. All you need to do is place your iPad in the robotic base and control it from your iOS device or computer. Having it in your office lets you roam around anywhere and attend meetings from a remote location. 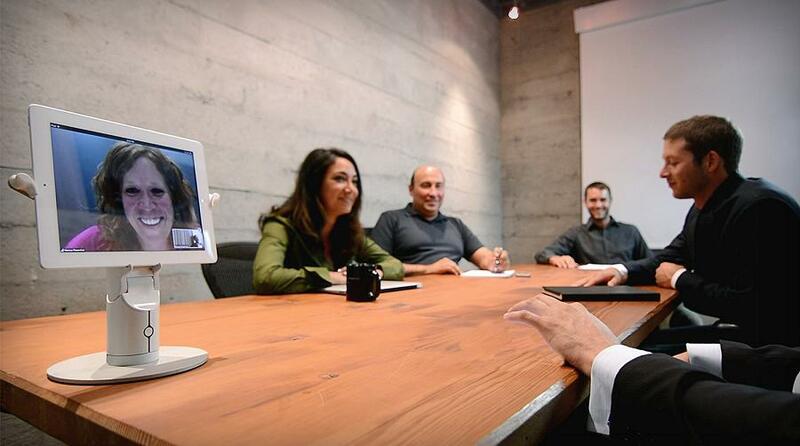 It lets you video chat with others without them setting up a videoconference. It provides 8-hour usage and is compatible with all iPads with a camera. Kubi: Kubi is a robotic stand that uses your smart devices for teleconferencing. This portable telepresence system allows you to look around remote surroundings during video calls. It features Bluetooth 4.0 connection, compatible with iOS, Android, and Windows smart devices and you can tilt the display using internet-based controls. It's compatible with popular teleconferencing software such as Skype, Hangouts, GoToMeeting and more. It features a removable base, can hold 7-10 inch smart devices and provides 4-hour usage. 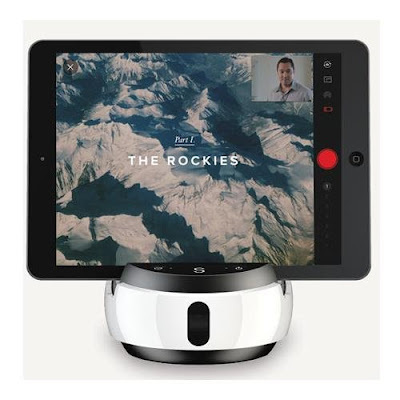 Swivl Robot: Swivl Robot is a robotic platform for presentations. It features a wireless microphone and follows you and turns your smartphone or smartdevice into an automated video recording device. Its compatible with iOS and Android devices, comes with Swivlcloud storage, and using its app you can manage Swivl's settings. 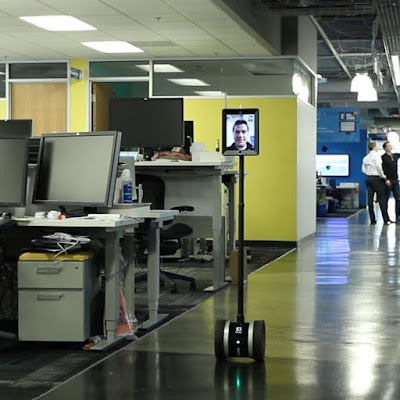 Origibot: Origibot is a fully robotic platform that connects with your Android smartphone or smart device and its app and provides a complete telepresence solution. 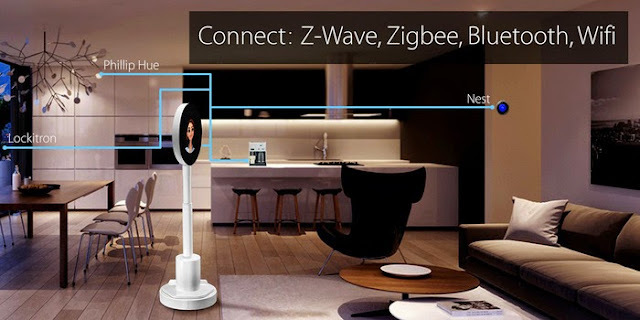 It uses WebRTC technology, you can connect remotely to it from anywhere in the world on most devices with an Internet connection (Android, iOS, Windows, Mac). It features a two-way audio and video, and gripper. Its capable of unlock/locking a deadbolt, open doors, get you water from the fridge, water your plants, retrieve your remote and much more. BeamPro: BeamPro gives you a smart presence and gets your message there with style and substance. Features two wide-angle cameras, a 6-microphone array that cancels echo and reduces background noise, a 17" screen, and a powerful built-in speaker. It also features screen sharing, encrypts all communications, has two dual-band radios, or an optional 4G card, top speed over 2 mph and provides 8 hours of active use (24 standby). 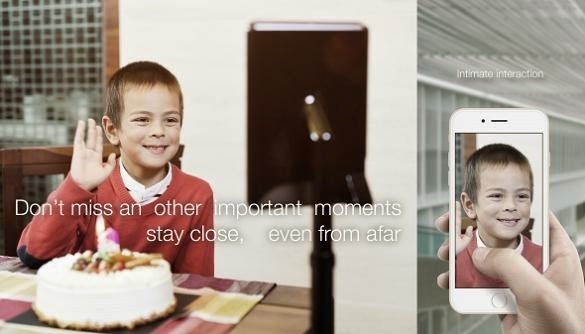 Roboming Telepresence Device: The Roboming facilitates remote communication using your iPhone or iPad. 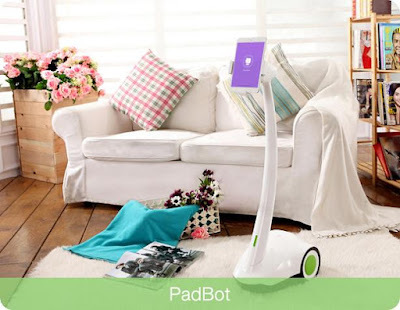 All you need to is to download the App from the Apple store, and connect Wi-Fi and Bluetooth and use your iPad as the head of your Roboming. This 2-wheel self-balancing robot comes with adjustable height from 120cm to 150cm, features obstacle-avoidance modules, can go on for 8 hours of usage, 24 hours on standby or up to 15 kilometers on a full recharge.